Do you think there is too much competition out there to get your songs into TV & film? Sure there is a lot, but find out how to beat it. There is a reason the same songwriters keep getting their music synched over and over again, and it’s not all about who they know. 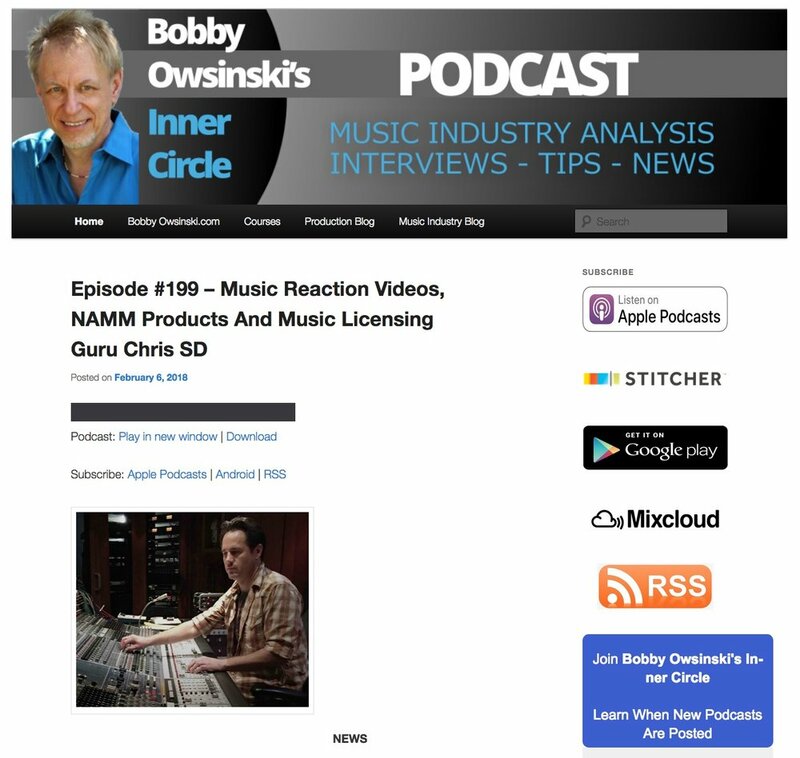 Check out Chris’ interview on the Inner Circle Podcast with Bobby Owsinski where Chris dishes on this and so much more.